It’s that time of year again. The start of the new academic year and a new teaching term for private piano teachers. Many of us are organising our teaching diaries, planning lessons and welcoming students back to regular lessons, hoping that some if not all have done some practising over the summer holiday….. Sadly, some of us are also chasing unpaid lesson fees. Despite clear terms and conditions and reminders via email, there are always late payers. I’ve been freelance since 1998 (and a self-employed piano teacher since 2006); chasing unpaid invoices is the sad lot of the freelancer and is the most disagreeable part of the job. I send out invoices for my teaching fees at least a month in advance of the start of term, with clear reminders of when the fees need to be paid (“in advance of the start of term which is on…..”) etc. The majority of my pupils’ parents pay promptly, but there are always a couple who have to be nudged several times. I don’t like writing payment reminder emails, but I do need to be paid for what I do, and I feel late payment is discourteous and disrespectful to me as a professional person. And where I live, in the very affluent leafy suburbs of SW London, where parents are used to paying for a whole host of extra-curricular activities from Kumon maths to tennis lessons or French language classes, there is no excuse for late payment of piano lesson fees. Sadly, some parents regard piano lessons as a commodity – a view which is very eloquently and intelligently explained by respected cellist, teacher and examiner Alison Moncrieff-Kelly in her article for Music Teacher magazine (March 2017). For certain parents, piano lessons are just another activity to enhance their children’s CV, and the piano teacher is treated like a “service provider” rather than a skilled/specially-trained professional. Some parents may take this even further by questioning or criticising the teacher’s abilities and judgement (specifically with regard to a child’s readiness to take a grade exam, in my experience), undermining the teacher’s authority by deriding their skills, or “reteaching” the child between lessons (something else I have experienced). Because they are paying for piano lessons as a service, some parents think they are entitled to behave in this way, because “the customer is always right”, and the piano teacher (“service provider”) should submit to the customer’s view/demands. These types of parents tend to be very demanding, requesting changes to lesson times at short notice, make-up lessons, and refunds. They are also often the first to complain if their child is not making progress, yet they may not be willing to support or encourage their child to practise between lessons. In short, they lack respect. Parents pay, but the teacher must provide everything from the talent to the practice, with a neatly packaged end product……The problem with the Aspirant Parent is that they not only criticise and question the teacher every step of the way, but also deride the very skills they say they want you to instill. Any parent (or indeed adult student) who takes this attitude fails to fully appreciate what piano lessons are really about, which can seriously damage the relationship between parent (client) and teacher. Ensuring exam entries are made correctly and on time. Be respectful to me and my experience/judgement, but to feel confident about discussing issues with me such as difficulties encountered in practising, exam readiness, performance anxiety and so forth. When mutual respect exists everyone thrives. Clear terms and conditions can ensure mutual understanding on all sides, but sometimes even the most explicit T&Cs are meaningless to the pushy or disrespectful parent, and when such an impasse is reached, it may be the moment to call time on the lessons. It’s a great shame when this happens, for the student may be happy and progressing (despite the parent’s lack of input), but the dealings between parent and teacher may have become intolerable – and as a self-employed person, one owes it to oneself to create a working environment which is pleasant and conducive to success, if at all possible. A really well written article on the difficulties many teachers face. I think at some level there’s also a lack of respect for teaching as a profession. 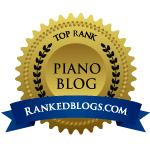 Because I get the respect for my profession as a Piano Teacher from referrals and students who have read my piano lessons page and admission procedures- during the interview itself.. But earlier, when I was just getting established when I shifted teaching locations, and had no website, I found the respect only came after the Parents saw my teaching and the effect it had on their child. They are not totally to blame, because the teaching profession in general has quite a few teachers who don’t educate themselves regularly. And Parents through experience with such teachers – in school and at tution class tend to expect the same. Of course, there are the kind of difficult demanding parents you referred to. I don’t think Piano class works for such Parents, because just their child doing well is not enough for them. We have to know when to let these students go, because a parent, no matter how difficult is more important to the child. Respect for a teacher is crucial for a child to learn, and children almost always take their parents attitudes. Yes, I totally agree. It’s such a pity that not every parent is willing to accept that their Piano Teacher is a consummate professional. Many a time I’ve felt myself having to answer to mum or dad about a decision I’ve made, often associated with timing of ABRSM exams. It really gripes me when I’m made to feel as though I need to justify my rationale to a pushy parent. It was only last month I was asked (told) by a parent that she wanted her little girl to play four pieces in her forthcoming exam. Her rationale was such that if she played four pieces then her daughter would undoubtedly be awarded higher marks. Sometimes I feel as though I want to scream in frustration. Thankfully, this kind of thing only happens on rare occasions. Respect. Well, I was always taught as a child that respect is a two-way process. If you want respect, then you should be prepared to give it back. To be perfectly honest, my tolerance levels (with pushy parents) don’t permit me to suffer their attitude gladly. I enrol Children on a four weeks trial basis, thus affording me ample time in which to make an informed decision as to whether I wish to proceed with lessons beyond week four. In fairness, i would say that 90% of parents are respectful and are appreciative of my qualifications and skills as a Musician and Piano Teacher. Thank you for taking time to read this, I could go on for hours. Thank you also for the wonderful stimulating posts I receive.